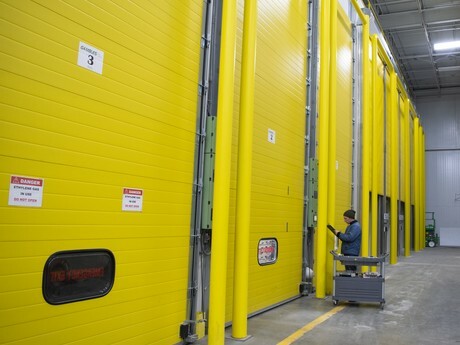 June 1, 2018 - TORONTO, ON - With the intent to offer customers a wide variety of ripeness in their fruit, one Toronto company has invested in its infrastructure—namely ripening rooms originally intended solely for bananas. The decision to invest first came about in 2016. 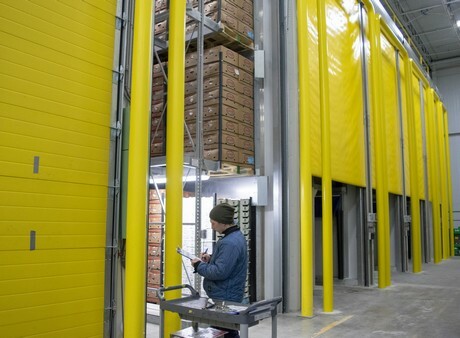 “It was first investing in ripening rooms for bananas and then it slowly moved towards ripening of other fruits,” says Sarah Taylor with Gambles Produce in Toronto, Canada. The company began with three rooms last year. “And we quickly saw the potential with ripening as our customer base was looking for all color stages of bananas,” she says. “We service a variety of accounts in Eastern Canada. Customers that are farther away need a greener banana due to the travel distance. Customers in the city might want both: a more yellow banana for eating that same day, and a greener product for the back room.” At the same time, seasonal demand from winter to summer also influenced the color customers looked for. While the development allows Gambles, who sources bananas mostly from Costa Rica but also Ecuador and Honduras at times, to work with clients on what level of ripening they need, it soon was applied to other commodities. “We’ve already started to move to ripening other fruits to facilitate a “ripe and ready” program on items like avocados, mangos, tomatoes, papaya and more,” says Taylor. Stable is the word for market prices as well. “January to March of this year was the only real dramatic change we’d seen for quite some time in this industry,” she says. She does note that with Costa Rica seemingly the preferred sourcing country for supplying bananas, all Central American regions are emerging as a hot bed for bananas, she says. “Recently Colombia and even markets of South America (Venezuela) are gaining momentum as supply sources into North American markets,” adds Taylor.